DARWIN, Australia (WPVI) -- Here's something you don't want to find in your toilet. 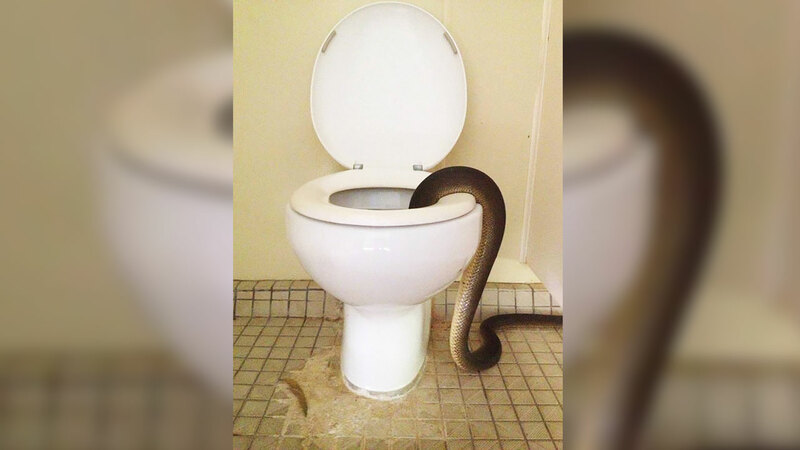 Australian park rangers had to extract a massive snake from a toilet in Charles Darwin National Park earlier this week. In a Facebook post, rangers explain that the olive python measured approximately 10 feet and required some "persuasion" to leave the toilet. Thankfully, the serpent did not surprise any unsuspecting park-goers; rather, rangers made the surprising discovery during a routine bathroom cleaning. Australia's second largest snake, the olive python is found across the northern half of the continent. According to the Australian Reptile Park, the creature feeds on small mammals and reptiles, suffocating its prey with its numerous coils.